I remembered to post Midori’s postcard today. Let’s hope it gets there, I’m not confident though as she used a stamp and didn’t get it franked. I’ve just got back from S-21 which is only a 10 minute walk from my room. 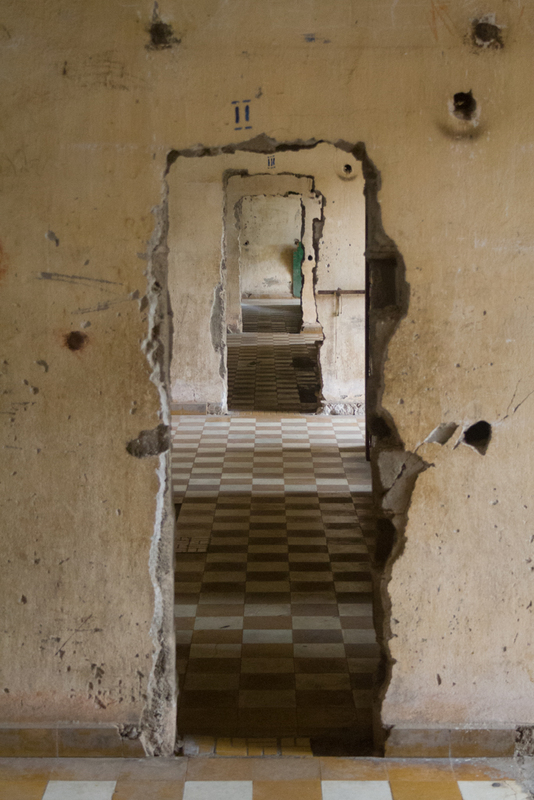 It was a school which was converted into a prison and interrogation centre by Pol Pot’s regime. It has been left in the same condition it was in since it was last used. The cells and interrogation rooms have been left intact giving the whole place an eerie and macabre aura. It’s only just settling in that the day after tomorrow I’m leaving SE Asia and heading to the Himalayas. I’ve got a mental picture of the whole transport plan all the way to Kathmandu sorted. I know which plane, train and bus I’m getting. I know where I’m sleeping. I just haven’t prepared myself for any possible culture shock, so we’ll see how that goes I guess.